It's been a bit of a weird few days since shooting Lily. 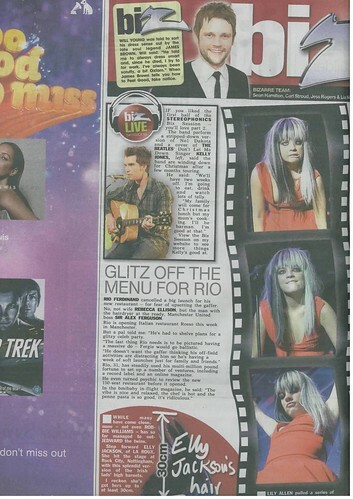 I've had shots in print in the Sun, the Mirror and the Sport. I've also had shots on websites for the Sun, Mirror and Heat, along with at least three overseas uses. Here's The Sun using three shots on one page. Obviously I've got fairly mixed emotions about the whole thing and whether I'd do it differently next time. Off to shoot Laura Marling tonight, so normal service will be resumed. So who pays better out of those papers?!! Won't know for several months, I'm afraid. Presumably The Sun because they used three shots, rather than just one. I don't understand the structure of these things though.